By 2021, you will see an electric Ducati bike on the roads! Ducati has confirmed that a pure electric bike is under development. The electric Ducati concept will be unveiled by 2020, with production starting in 2021. Would you like to see an electric Ducati plying on the roads? Worried that it might loose its power and the aggressive exhaust note? At the MotoStudent competition in Spain, Ducati CEO has confirmed that the future lineup of Ducati includes electric bikes. The concept might be showcased in 2020, with production commencing next year. 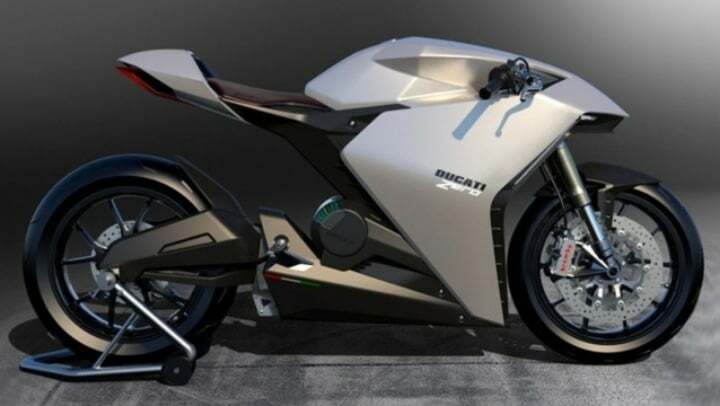 Some years earlier, the Ducati zero design concept was created. We expect the electric Ducati bike to be inspired by that. A futuristic concept with the lines of a superbike sounds cool. Also Read: Harley Davidson Livewire electric bike might cost Rs 21 Lakhs in India! Since it is Ducati, you can expect the electric bike to be equipped with top-notch features and a powerful motor. The power figures will be high, competing with that of a 1000cc motorcycle. The Italian giants has already ventured in the electric vehicle concept, as they unveiled a new electric mountain bike. We expect the electric Ducati to sit on the Trellis frame. It will be equipped with a premium suspension setup, high-end braking system, top-class electronics and the same riding touch that other Ducati bikes offer. There are chances that the electric Ducati might be heavier than the other bikes in the stable. Addition of an electric motor increases the weight of a vehicle. Other reports suggest that the first electric bike might be in the shape of a superbike. Following which, the brand might offer the electric variants of Scrambler and Hypermotard. First of all, it is a Ducati and secondly, its an electric bike. So expect the prices to skyrocket above Rs 20 Lakhs or probably even more. Many other two-wheeler brands are coming up with the idea of electric bikes. In India, Tork T6X, Royal Enfield, TVS and Bajaj Auto are working towards the development of zero-emission bikes.